In the early years of World War II, it looked as if Germany might have the luxury to spend its time developing a new generation of super-weapons. The Nazis haphazardly pursued the idea of building an atomic bomb, with an eye toward eventual conflict with the United States. However, the immediate demands of war, combined with Western Allied sabotage, undercut the program, leaving it at the basic research stage by war’s end. But what if the Germans had devoted more attention to the program, or had lucked into more substantial breakthroughs? What could the Nazis have done with an atomic weapon? The American atomic weapons program cost an enormous amount of money, and took human capital away from other important projects. But the United States, unique among the great powers of World War II, believed that the war would last long enough to justify complex projects. Germany did not have this luxury, especially after it became apparent that the Soviet Union would not collapse in 1941. For Germany to seriously consider taking the atomic plunge, it needed favorable war conditions that would allow the development of long-term research projects. In the event, jets, submarines, and rockets took up a greater portion of the Reich’s scarce engineering resources. The German program faced other obstacles. Western Allied attacks on the German industrial economy took their toll, even if they could not push Germany out of the war. Sabotage, like the attacks on heavy water processing plants in Norway, also curtailed German progress. The nature of the Nazi regime also made scientific progress difficult. Many of the best nuclear scientists disliked the Nazis, and took steps to escape Europe. The Germans could not draw on Europe’s scientific expertise to the same extent as the Americans. 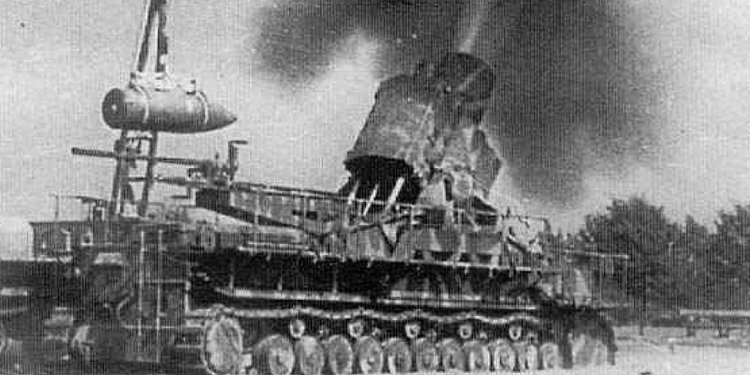 Nevertheless, the Nazi regime did make substantial progress on a number of engineering frontiers, and could have developed a weapon in time. Solving the basic theoretical and engineering problems wouldn’t have suddenly turned Germany into a major nuclear power, however. The German program concentrated on enriched uranium, a simpler project that eliminated some of the more tricky problems faced by the United States. However, the need for stocks of uranium (some of which had been seized from Belgium), and the extensive industrial complex needed to enrich, would have made it difficult for the Germans to produce a large number of devices. Even if the Germans had managed to develop an atomic weapon, delivery would have been a problem. For tactical use against ground targets, the Wehrmacht could have engineered a way to deliver the devices, but anything at longer range would have been a struggle. The Luftwaffe lacked an advanced heavy bomber capable of hitting targets in England or Russia, much less the United States. Designed to fight in support of the Wehrmacht, the German air force had toyed with the idea of heavy bombers in the 1930s, but concentrated on lighter, smaller planes as war approached. Surely, the German could have developed a strategic bomber given enough time; Junkers, Heinkel, and Focke Wulf all worked on large bomber projects during the war. But such aircraft were enormously complex and expensive, with long lead times. The B-29 program reputedly cost more than the atomic bomb itself, and even B-29s required modification in order to carry atomic weapons. The best candidate available to the Luftwaffe would have been the He 177, capable of carrying a device considerably smaller than the “Little Boy” bomb dropped on Hiroshima. Could submarines have delivered the devices? Conceivably. A nuclear torpedo was probably beyond the means of the Kriegsmarine, but a submarine sufficiently close to its target could probably deliver the warhead in a small boat. But getting into position was no mean task; by 1943, Allied anti-submarine warfare was devastating Germany’s submarine fleet. Only the Type XXI submarines could have approached useful targets with any degree of certainty, and these boats did not appear until late in the war. The V-2 ballistic missiles represented the most obvious potential delivery vehicles. They could deliver payloads at range, with little chance of interception, and with enough accuracy for an atomic warhead. However, V-2s had a startling launch failure rate, making them a sketchy option for an atomic payload. They also lacked the ability to carry heavy payloads; reducing a warhead to sufficiently small size, and reinforcing it such that it could handle the rigors of launch, flight, and separation, were tasks likely beyond Nazi Germany in any useful timeframe. How would the Germans have used the atomic bomb, if they had managed to construct it? It depends, naturally, on Germany’s tactical situation when it developed the weapon, and on the delivery systems it had available. Obvious strategic targets include London and Moscow, and the Luftwaffe could probably have delivered them successfully with a fair degree of confidence. An attack on either would have proved devastating. In the case of Moscow, a surprise strike that decapitated the Soviet leadership might have caused very serious problems, although the Red Army would undoubtedly have continued to fight. In the West, the V-2 campaign had a serious impact on British morale, and an atomic device would have had an even more devastating impact. It’s worth keeping in mind, however, that the Combined Bomber Offensive was delivering atomic levels of destruction to the Reich from 1943 on, and that this effort failed to force a German surrender. In any case, the center of gravity of the Western Allied war effort had passed to the other side of the Atlantic, and the United States was likely out of reach.